With colors, patterns, theme, style, furnishings, and different decor elements a house get its warmth and character. Starting with the living room to the kitchen, study room to the bathroom, home interior decorations look into all aspects of the house. The design patterns can be broadly segregated into two classes modern or traditional. Traditional designs include the natural materials and subtle hues give a feel of the past and local culture. In stark contrast, modern interiors include the use of the latest design elements including technology. The modern interiors are mostly incorporated with geometric patterns and symmetric looking elements which give a very organized feel. In traditional designs, the use of colors on furniture and accessories are overtly decorative while the modern interiors use furniture that is slightly elongated with straight lines and little bit lifted from the ground for the airy feel. The limited texture of colors are used for home decoration. Space planning is an integral component of interior designing which involves the use of desired space efficiently. For effective space utilization, numerous factors are being considered including the building regulatory codes, clients preferences, furniture placement, flexibility, comfort, and future needs. While designing interiors, lighting is one of the most important factors. Lights not only enhances the interiors and boosts efficiency but also create warm and pleasant atmosphere. Quality as well as quantity matters when placing the lights in the home. Color plays a pivotal role in any interior design. Since color has the power to evoke a variety of emotions and psychological states, the interior designer should consider choosing a nice color scheme that improves mood, concentration and creates a vibrant home decor. Window treatments are another major factor in interior designing. Windows are a welcoming glimpse into our home and they need a little extra care to add a classy and elegant look of the home. It protects from hot summers, cold winters and also acts as a guard. By using fabrics, blinds, drapes, shades, or jute coverings can give them much more finished look. 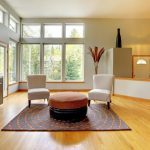 All these factors can help in making an impactful interior design. Whether it’s a room, office space or a single floor, it is important to know the latest trends, client preferences, and their favorites while choosing a design. Hiring a professional interior designer will help the entire house to feel more comfortable and cozy. You can not go wrong when hiring an expert for your own project needs. Interior designing is all about making the best use of the home by using the imagination, creativity, and a good eye. This entry was posted in Home Improvement and tagged Decor Elements, Home Decor, Home Interior Decorations, Home Interior Design, Interior Design Ideas, Interior Design Tips, Interior Design Trends, Interior Designing, Types of Interior Designs, Window Treatments. Bookmark the permalink.